Publisher: Doubleday & Company, 1958. Hard Cover, 264 pages, 5.75 x 8.50. 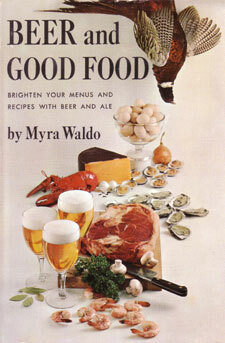 Just as "beer cousine" was coming into fashion in America during the late 1950s, noted cookbook author Myra Waldo published this great book. Some great recipes using beer and beer-food parings.